And our newest feature is Decals! 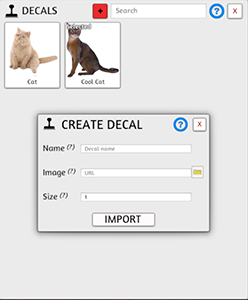 With Decals you can now stamp or stick images to any object. Need stickers for cards and have them stick on when shuffling? Now you can do that. Creating a western theme and want to add bullet decals to your scene? Now you can! Have fun with it! Now live on Steam with a 20% launch discount! Decks automatically shuffle when loaded. 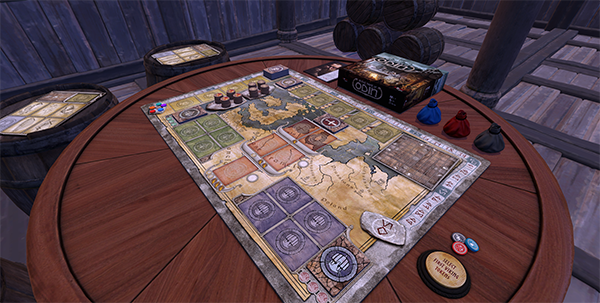 Press the button to randomly select the viking token markers. 2-5 Players | Ages 13 & Up. You can now place decals on any object. Access the Decal tool in the side menu. Decals are saved per game. When a save is loaded, everyone will have access to the decals in that save. Click the plus sign to create new decals. The decal you select with have a “Selected” text on it. You will see a ghost of your decal so you know how it will look when you place it down. The placement will be affected by your camera position. 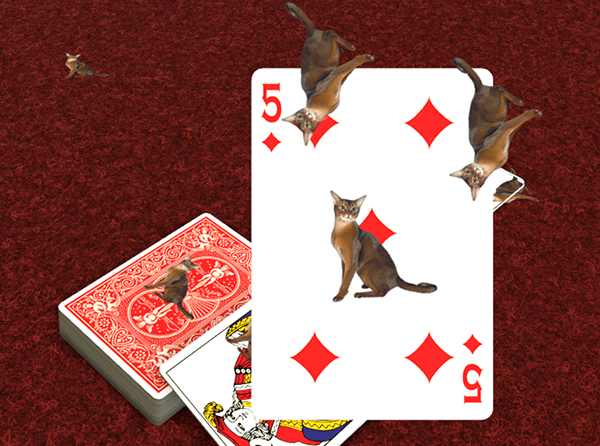 Decals will stick to cards and can be shuffled in the deck. Decals can be placed on any surface, vertical, horizontal and angled. Click a decal to delete it. You can rotate decals by using Q and E.
You can scale decals with the + and – keys. To disable decals in permissions, it is under the Paint section (just for now). Added new launch commands to help debug issues and figure out what’s going on. If you are having any type of crashing or problem with something, then using these launch options will help us track down issues that we cannot reproduce on our own. Input these in Properties, General and click the SET LAUNCH OPTIONS button. You can input multiple launch options by putting a space in between them. Remove the quotes before entering them in. “-nothreading” – Disables loading system in the backload. “-nosteam” – Disables all the steamworks related stuff. “-notablet” – Disables the tablet. “-nosubscription” – Stops steam from checking your workshop subscription. 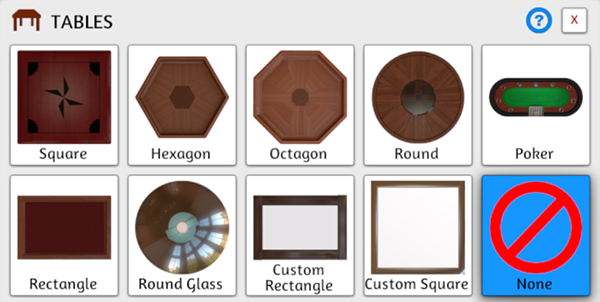 Added an empty table option called None so you can place your own custom tables (or anything) in its place. Scaling object will scale all of its states as well. Updated link in the Notebook for Scythe DLC to ensure the latest rules are available. Optimized C# calls to Lua that don’t have parameters. Fixed crashing issue with tablet (if still occurs, use -notablet launch option for now). Fixed issue with Steam avatar portraits being mirrored.